We are a small, practice, located in Wiltshire, genuinely enthusiastic about building good, long term, working relationships within the local communities. All our solicitors are fully qualified and locally trained to understand the needs of rural communities and small towns. We operate out of offices in; Marlborough, Hungerford and Pewsey. Our Solicitors listen with genuine care and a minimum of legal jargon. We approache a legal problem from a practical point of view using common sense, understanding, thoughtfulness and business awareness. The practice is managed by well experienced and mature business people and ensure that from the moment the client walks through the door of the office our legal team of will endeavour to meets the client’s objectives with the minimum amount of fuss, the maximum of skill, and the minimum of expense. We give 30 minutes free initial consultation and we ask for no upfront costs on account. Unlike most Solicitors we only invoice for acceptable work done. 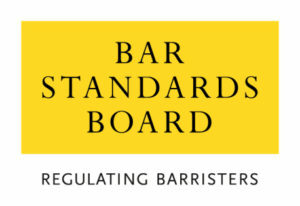 Our firm of Solicitors in is a BSB (Bar Standards Board” Entity and regulated by the SRA Solicitors Regulation Authority. BSB entities required an open and transparent approach to all facets of the legal profession. considers the needs of the whole family, in particular the best interests of children.